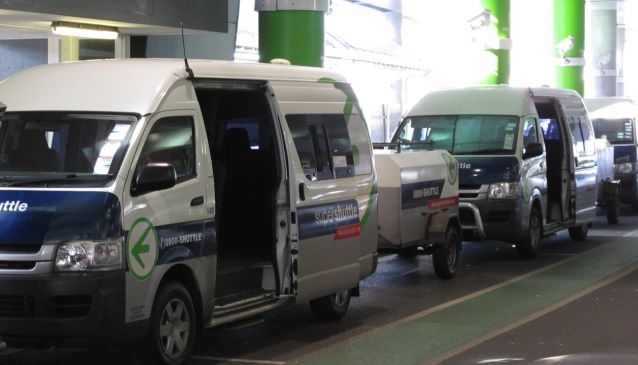 The Super Shuttle Airport Passenger Transport System is the country's leading airport transfer service. Super Shuttle collects and drops off passengers between the airport and your doorstep. The price is fixed to give you peace of mind that the fare won't go up depending on traffic! As the service is restricted to and from the airport, fares can be worked out upfront and remain fixed. The minivans hold up to eleven passengers with a large trailer to transport baggage of all shapes and sizes. The low fares are delivered through passengers sharing the service with multiple drop-offs en route.